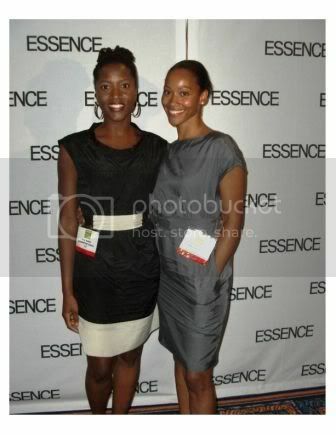 A couple years ago at the ESSENCE “Women Who Are Shaping the World” conference, I had the pleasure of meeting two beautiful and talented Brooklyn entrepreneurs named Janai Nelson & Crystal Granderson-Reid. They were savvy. They were stylish. And more importantly, when it came to the business of creating multicultural dolls, these ladies knew their stuff! Needless to say, Janai and Crystal, the founders of Brownstone Buddies, have been on my Fly Female Entrepreneur radar for quite some time now. Today, I’m excited to finally share their amazing story with you. Enjoy! 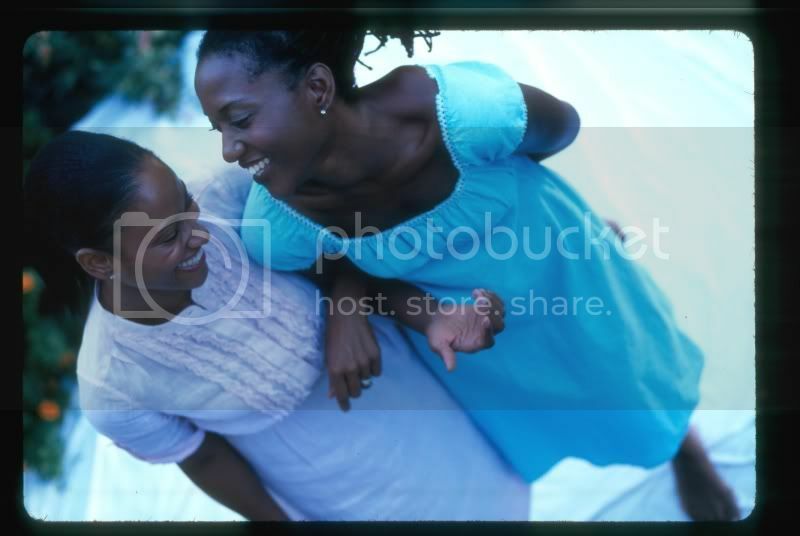 In Her Shoes: How would you describe Brownstone Buddies Twitter style (140 characters or less)? Brownstone Buddies: With Brownstone Buddies, children embrace childhood, freedom is the script of play, and worlds join in celebration of diversity! In Her Shoes: How did each one of your cultural backgrounds and current environment inspire the creation of Brownstone Buddies? Brownstone Buddies: The Brownstone Buddies brand is inspired by our Prospect Lefferts Gardens neighborhood in Brooklyn. It is a vibrant, multi-cultural historic district with excellent cultural institutions nearby like the Brooklyn Botanic Garden, the Brooklyn Museum, Prospect Park’s Audubon Center, Carousel, and Lefferts Historic House. These surroundings were fertile ground for capturing our interest in exploring other cultures and engaging the world around us through a children’s brand. And, as two African-American women, it’s been fun to use our cultural background to create some of our characters and to use our life experiences and interest in other cultures to create authentic representations of children from other backgrounds. In Her Shoes: How did the two of you come together as business partners? Brownstone Buddies: With our husbands already old high school friends and the coincidence of moving to the same brownstone neighborhood within a month of one another, we were destined to meet. While on a play date in 2003, with our then-infant children, the idea to start Brownstone Babies LLC came about when an Oprah Winfrey show aired highlighting moms with great ideas. 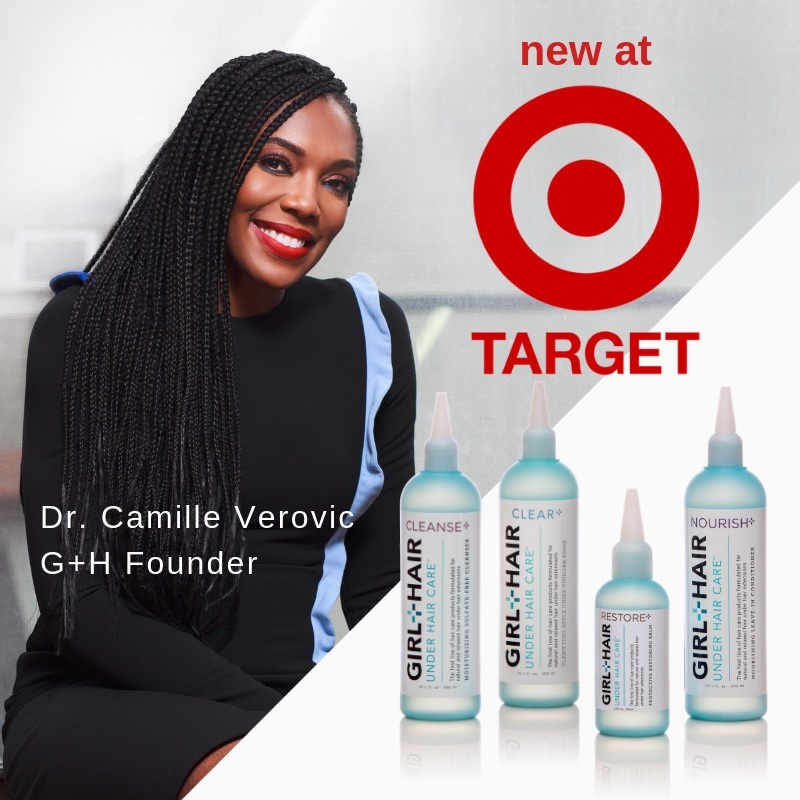 We knew immediately that the cultural and educational exposure that we were giving to our children was something that we did not see reflected in the children’s products already on the market. 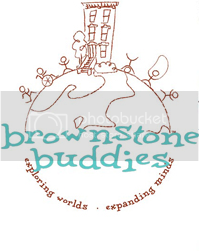 By Early 2004, we had a partnership agreement in place, we had written a solid business plan, and we were well on our way to completing the designs, back stories and logos for the Brownstone Buddies brand. Over the past seven years, not only has our business relationship grown and expanded into yet another business endeavor, a not-for-profit called BE FREE GLOBAL www.befreeglobal.org, but our friendship which developed out of being neighbors, moms, and women of like minds has been strengthened tremendously. In Her Shoes: How has Brownstone Buddies impacted both the children who play with them and the parents who purchase them? 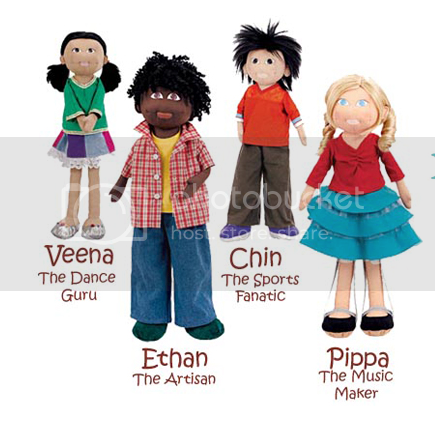 Brownstone Buddies: Our dolls inspire imaginative play, encourage cross cultural education, and invite beautiful dialogue surrounding the specific interests of each character. For example, Ama “The Math Maven” loves all things math, Chin “The Sports Fanatic” is high energy and gets the whole group going, and Maricela “The Bookworm” loves reading and shares the stories she reads with her friends. 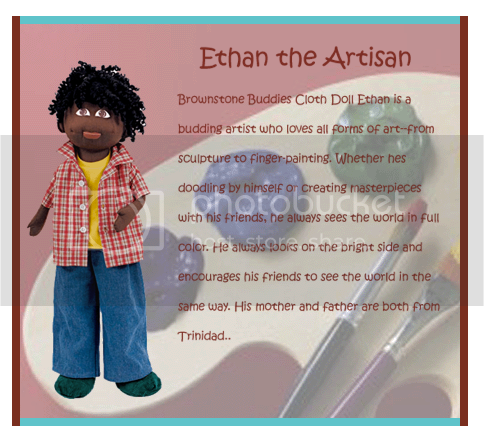 There are eight dolls/characters in the group, each with their own cultural background, specific interest and exciting back story, and they all come with the collectible Brownstone Buddies Passport to the World that can be personalized. In Her Shoes: Brownstone Buddies does an excellent job of breaking down stereotypes at a young age. When starting your business plan why did you decide to target young children? Brownstone Buddies: It sounds so cliché to say that children learn prejudice, but it’s true. What some may not realize though is how prejudice is taught not just through words and actions but also through the images we see and, as important, the images we don’t see. So, we made it a point first to portray Brownstone Buddies as fun, beautiful, spunky characters–the kind of kids that other kids gravitate toward. Then, through their backgrounds, we present a view of the world that celebrates each character’s cultural and intellectual diversity and that counters some of the common images that are often associated with children from a particular background. In Her Shoes: Being an entrepreneurial mother can be a handful. What is the biggest challenge you’ve overcome? Brownstone Buddies: The biggest challenge we’ve overcome as a duo is recognizing that things happen at their own pace and that we can’t always control when and how things develop. There’s also the issue of balance–making sure that we devote enough time to our families and careers, while moving our dream forward. Even though it’s not easy, we are able to make it happen largely because we work as a team and we have a great rhythm down where we support each other as women who are trying (with a lot of humor and hope) to do it all. In Her Shoes: How influential were your own children in creating and designing Brownstone Buddies? Brownstone Buddies: We didn’t involve our children in our initial creative process because (1) they were very young when we began and (2) we needed to rely on what we believe to be our greatest strength of arriving at original ideas organically. That being said, once our creative work was completed, they were the first focus group that we engaged and their opinions were counted heavily. Because our children have the luxury of being brought up in such a wonderfully diverse and multicultural neighborhood, the experiences and adventures of the Brownstone Buddies’ dolls/characters have to reflect what our children and their friends would find exciting yet natural, while at the same time, stand out as that new and intriguing MUST HAVE for all children around the world. In Her Shoes: What piece of advice would you give aspiring Fly Female Entrepreneurs? Be smart. Be patient. Be open. Being smart means thinking ahead by securing the right legal documents, having a sound business plan, and involving the right professionals as needed. Patience will allow you to wait out the opportunity that you have worked so hard for even if it doesn’t come as quickly as you would like. Openness will allow you to seize that opportunity even when it appears in packaging you may not have expected. In Her Shoes: What’s next for Brownstone Buddies? 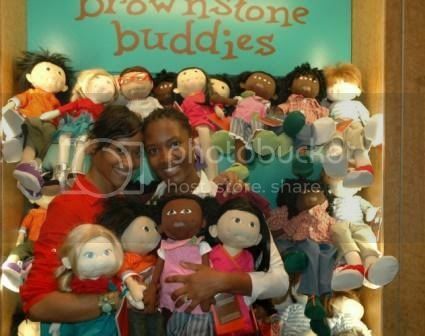 Brownstone Buddies: The brand had a successful launch at FAO Schwarz and remains prominently displayed at the legendary toy store both in store and online so we are gearing up for another successful holiday season. We are now focused on expanding the Brownstone Buddies brand into publishing and media, as well as, pursuing mass retail relationships to bring the brand to our target audiences both domestically and abroad. For additional information on Brownstone Buddies visit www.brownstonebuddies.com. To pick up a Brownstone Buddy at FAO Schwarz for the special little one in your life click here! WOW! What an amazing interview! 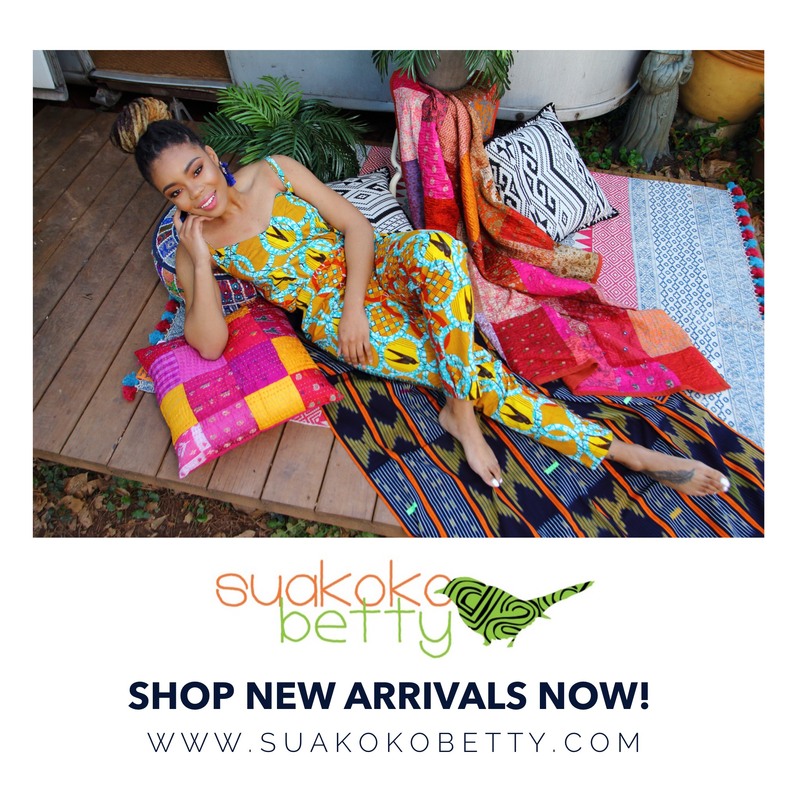 These ladies are not only providing gorgeous, multicultural dolls for children, they are inspiring adults to create positive businesses for themselves and their community. It is so, so, so true that “prejudice is taught not just through words and actions but also through the images we see and, as important, the images we don’t see.” Keep up the good work and much success! I volunteered at that same conference and met them. There story and enthusiasm was and is so inspiring! I’m glad to see that they’re still going strong and am planning to buy some buddies for my nieces.